If you walk west down 52nd Street, you can’t miss Lucky’s Famous Burgers. It’s interior screams at you in yellow and orange tones and snares you in from the sidewalk. The tiny space boasts four tables and two counter spaces for your dining pleasure. So, what does any sentient being order at a place called Lucky’s Famous Burgers? The cheddar burger, naturally. 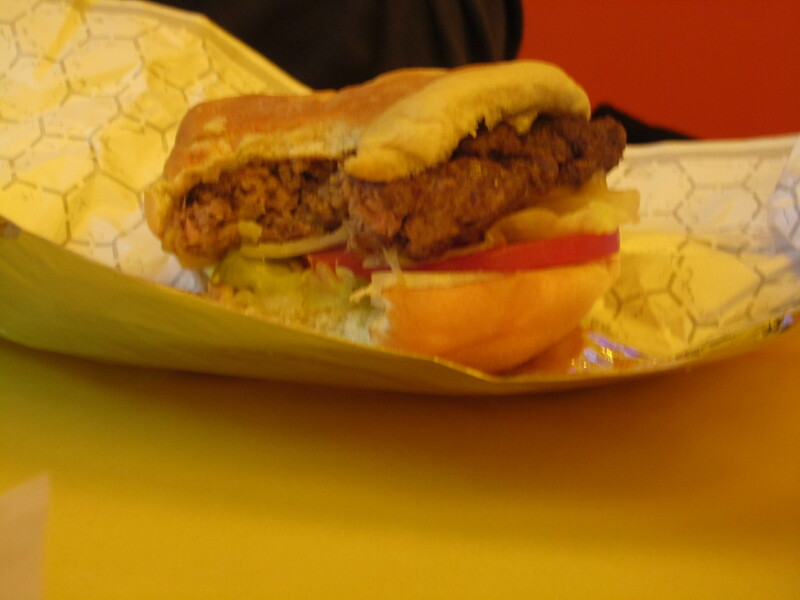 The solid patty of goodness has delicious written all over it. Lucky’s generously tops the burger with tomato, onion, lettuce, pickles, mustard, and ketchup. (I’m sure you can ask for the burger to be prepared without any of these.) Like the Shake Shack (the standard), they use a potato bun to bookend the scrumptious inards. 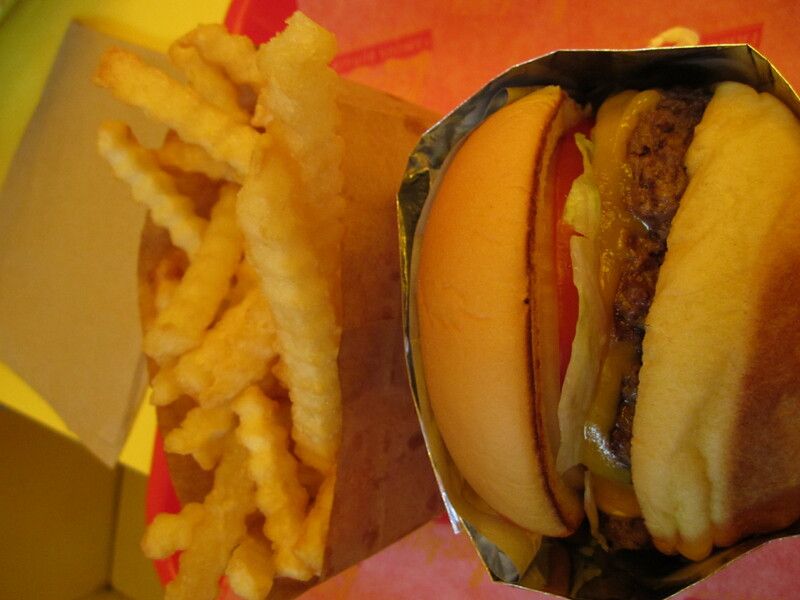 The fries are as wonderful as the burgers. Crinkle cut and on the skinny side, these fries are light and easy-to-eat in twos and fours. Lucky’s offers a few condiments for your fry-tasting: ketchup, chipotle mayo, and Lucky’s sauce–which was a smokey mayo concoction that we couldn’t quite identify. Next time we’re going to try the onion rings. We ordered a black-and-white shake, which came in a tall styrofoam cup with a plastic lid with a too-narrow straw. Though it was onerous to drink, the shake was pretty good. You could taste the syrup–which I like. Lucky’s has several locations in the city. I highly recommend visiting one of them.